Come diving in Cyprus! We offer scuba divers, both beginners and pros, powerful resources and knowledge. The Underwater World in Cyprus offers a unique, opportunity for Ocean exploration thought education and field work particularly in the east Mediterranean coast. The cmas scuba diving learning in south coast of Cyprus can teach you all kinds of academic disciplines regarding underwater marine biology, oceanography, underwater archeology, and scientific diving. Our highly experience instructors are university graduates and offer there services focusing on marine sciences to educate scuba divers about our ocean planet such as, Oceanography : Earth consists of 71% of ocean water the ocean's floor may not be observable, but it is just like the continents, with elevations, valleys, mountain streams, among many other aspects. Marine science separates this general term based upon specific features of each province such as the topographical area, the depth, and geologic morphology, another parameters oceanography takes in do attention is the sea water chemistry composition, sea floor morphology, external forces which stimulate sea water behavior, waves motions, underwater currents, tides, estuaries, plus so many other phenomena that occurs from the ocean surface down to the sea floor. Ocean it's an evolving and revolving with highly complication of mechanisms that we know almost nothing in contrast to what we know on land, one of the main reasons it's, since we as humans have been created to live on land. Consequently, this new technology in marine science assists us to understand the significance of the oceans we are, in fact, at a very early stage while events like tsunamis, global warming, ice melting, interplanetary actions and reactions alterations events changes our scientific facts that science is incapable to explain at present-day. Nevertheless, it's the challenges of the next day. *Did you know? 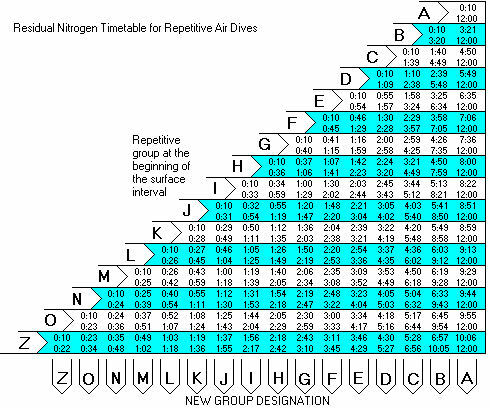 Scuba is an acronym for self-contained underwater breathing apparatus. Experienced Divers will find highly advance courses like shipwreck diving, rescue diving, underwater marine biology. Underwater archaeology and nitrox specialized courses, nonetheless, when diving to particular places, like, Larnaca, Limassol, Paphos, Agia Napa, Protaras, Paralimni, you will enjoy the marine realm, underwater caves, and treasures from ancient shipwrecks, where the present meets one of the oldest maritime cultures globally. The abundance of marine life like sea turtles, Amberjacks, sting rays, sea urchins, sea stars, groupers, octopus, sponges, sea anemones, corals, bivalve species (sea shells) combine with exceptional underwater flora, will definitely satisfy the most demanding diver when visiting Cyprus. marine conservation biology emphasizing the concerns of Human activities have a significant impact on marine biodiversity due to overexploitation of our water planet resources, as it was believed our oceans are limitless source of supply, Humankind is destroying marine life through high technology tools our last recourses, and drives pollutants from land and sea, that critically changing the oceanic food webs. And national jurisdiction remains vulnerable to uncontrolled exploitation. Marine conservation biology a new born science, have developed rapidly to respond to a global crisis confronting biological diversity. Through new theoretical and applied strategies and techniques is challenging to give remedies and solutions aiming to stop marine species extinction and marine resources. The understanding and maintaining the integrity of the marine ecosystem it involves a tremendous amount of knowledge, and therefore, it involves marine scientists, social sciences, marine biologists, advocates, policy management, decision makers, ethicists, educational institutions, and organizations to act and promote the idea to the public, by creating a new stable platform for our future generations. In Cyprus, researchers are using the marine sciences to study phenomena such as tsunamis, global warming, and icecap melting. The oceans may hold the answers to some of the challenges the world faces today and tomorrow. This script calculates a diver's SAC rate, in Cubic Feet per Minute, based on his average depth, length of time at that depth, how many PSI of gas were used, and the size of his tank. The calculation is performed by calculating the volume of gas used (PSI used * ( Tank volume rating / Tank pressure rating )), dividing this by the time at depth, then dividing this result by the pressure at the average depth ((D/33)+1). 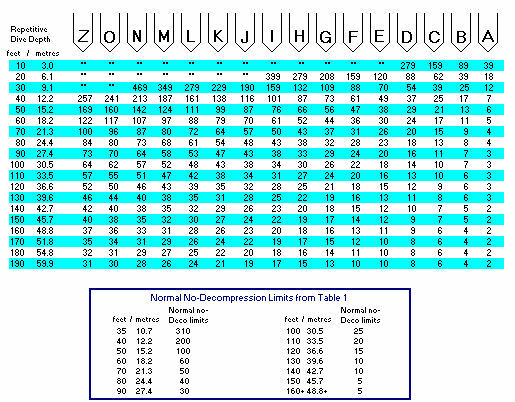 This result is the Surface Air Consumption (SAC). SPECIAL WARNING THESE ARE NOT DIVE TABLES! 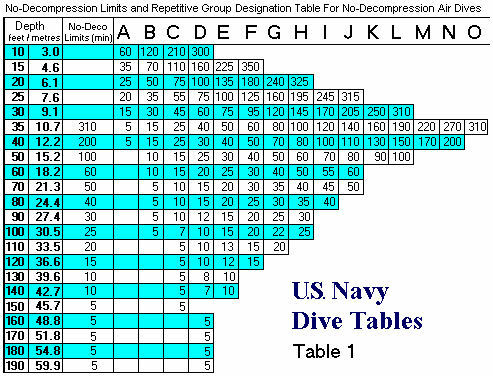 DO NOT USE THIS INFORMATION FOR DIVE PLANNING! Seek professional advice before using this information! You consumed CU.FT. of gas, and your SAC is CU.FT/Min. We focus on detail and extensive learning pedagogical methodology through our highly skill instructors and university graduates to deliver a tremendous amount of knowledge as per CMAS standards' World Underwater Federation. your diving certificate/diploma its recognize globally.